Glatt Star Restaurant in Elizabeth, NJ has recently changed its name to Avenue Grill and Sushi, in addition to revamping its menu and updating its website www.njkosher.com. The place serves as a one-stop shop for kosher patrons with the restaurant and adjacent grocery and butcher shop located at 155 and 157 Elmora Ave. They continue to provide catering for all occasions under the previous name Glatt Star Catering. Chef Alex Reznick, which many might remember from Top Chef and La Seine Restaurant, opened his NY-Inspired restaurant yesterday, called Ditmas Kitchen and Cocktails. The restaurant is located at 8731 West Pico Blvd. in the former location of the short-lived LA version of Bocca Steakhouse. The American eatery is under Kehillah Kosher and will be open just for dinner in their first few weeks. 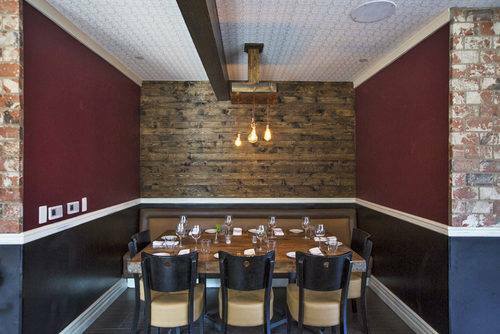 la.eater describes the restaurant as sporting two identities. Who is in for a hilarious start of the year? 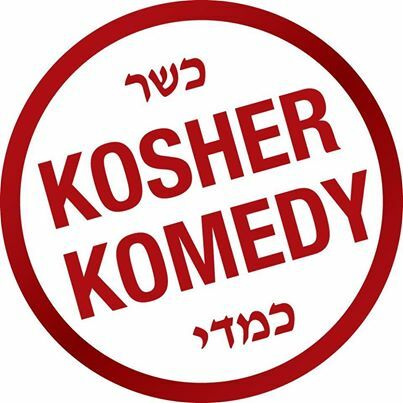 Join Kosher Komedy on New Year's Eve 2014 for an evening of great food, drinks and laughs featuring an all-star lineup of the funniest & cleanest comedians as seen on The Tonight Show, Letterman, HBO, Showtime and Comedy Central at the ONLY comedy club where the food and the comics are both KOSHER! 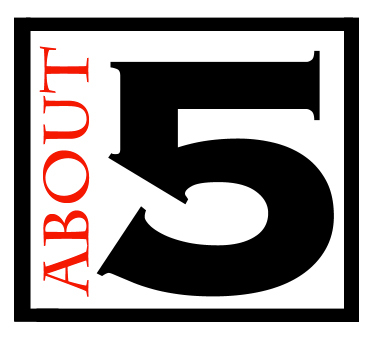 As a proud co-sponsor of the event, Great Kosher Restaurants is delighted to offer a $5 discount with code GKRMKK (cash only and must print out this email). Doors open for Dinner and Drinks at 7:30 p.m. Showtime at 9:45 p.m.
2 Drinks, Champagne Toast at Midnight, Times Square Ball Drop on huge screen and multiple screens throughout the club. Reservations required, walk-ins welcome if seating is available. and great door prizes. For reservations or information please call 516.983.7654 or email KosherKomedy@Yahoo.com. Online payments: Via PayPal - Click on the SEND MONEY tab, Enter kosherkomedy@yahoo.com and indicate how many tickets you are purchasing and the total amount. Please enter the names of each guest and your contact info. non-Jews are among the patrons. Kol Hakavod, Masbia, for your pioneering efforts! Watch the video on the right to learn more. Looking for a great way to spend January 1st with your family and friends? Come to Areyvut's New Year's Day Carnival Extravaganza at the Garden State Exhibit Center in Somerset, NJ! The event will feature mechanical and inflatable rides, carnival games and booths, kosher food, and entertainment for all ages. Live shows will feature a BMX stunt show, the Gizmo Guys jugglers, and the Chicago Boyz Acrobatics Team straight from America's Got Talent. So come out and support a wonderful community non-profit, while also giving your family a fun-filled day they will be talking about until next New Year's! NewYearsDayCarnival.com. 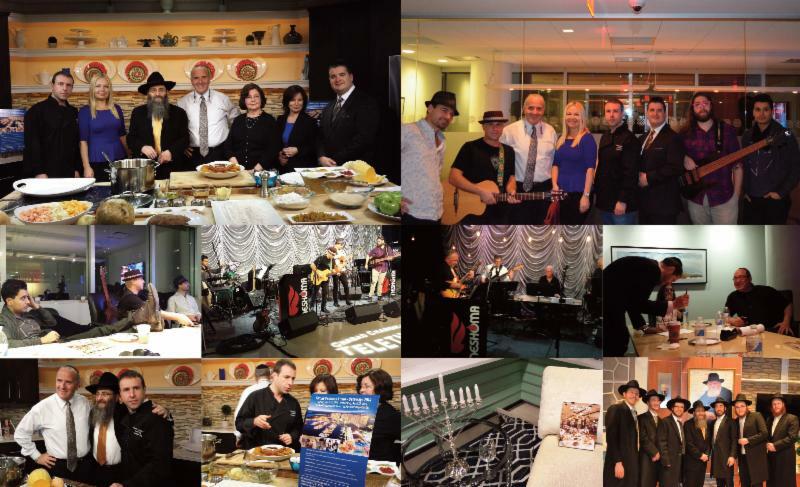 Great Kosher Restaurants International is a proud sponsor of this fantastic day. Despite the snow, yesterday was the first day for Bistro Burger, brought to you by the owners of Bistro Grill and Meat Me. The American Grill House restaurant, under the Vaad of Queens and located at 605 Middle Neck Road, offers a dozen different burgers as well as soups, salads, appetizers, sandwiches, steaks, chicken, pasta and fish. They offer deliveries, a student and lunch special and they have a liquor license so they can serve beer and wine. Click here for their menu. And we should be visiting the restaurant today, so to get a sneak peek at some of their food, be sure to follow us on Facebook. Wandering Que, NY's only kosher Texas "Pop-up" BBQ Smokehouse Restaurant returns to Brooklyn once again for their last installment in 2013. Gemstone Catering/Wandering Que and Chevra Ahavas Yisroel are teaming up to bring you this event that will take place on December 22 at 12pm until December 23 at 9 pm at 306 Albany Ave in Crown Heights. You can view the menu here. Hakadosh BBQ is under Star-K. There will be indoor service as well as takeout available upon request. will be held in New York, Roselle (NJ), Philadelphia, Boston, Washington, Delray Beach, Miami, Ft. Lauderdale, Denver, Los Angeles and Montreal.For singles 21 to 49, tickets are available for advance purchase ($30-$50 depending on location) by clicking here. Enter code "GKRM to get $5 off any party, in any city.